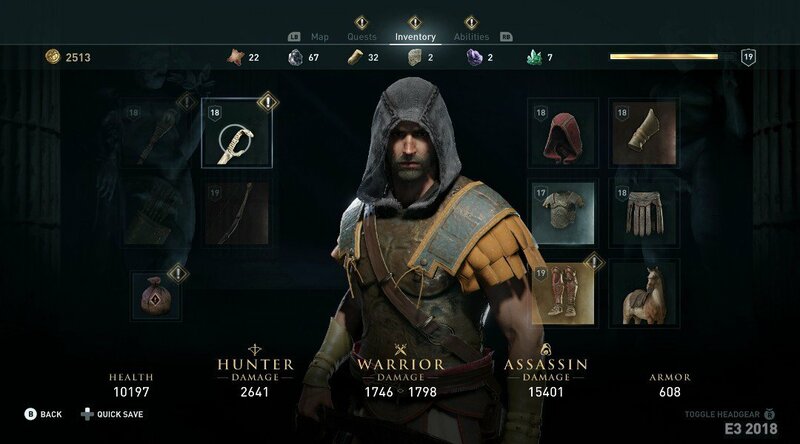 Assassin’s Creed Odyssey is a worldwide famous game. Gear is a very important element of the game and it needs utmost and special attention. Managing your gear, upgrading to the latest gear and making different decisions about it are very common. It is a constant and always changing and improving chore in the game. In the game, you usually shoot rivals, loot the booty and shop for new armor. But among these, you also have to keep your gear up to the date. You do not get much guidance regarding the type of the gear you should carry for maximum performance. Here are some guidelines which will surely help you in scoring maximum points in Assassin’s Creed Odyssey. 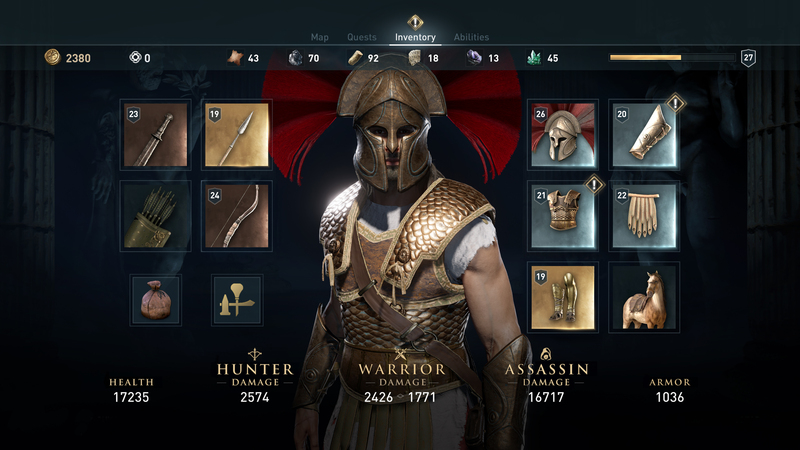 The Gear Assassin’s Creed Odyssey in also has levels like Alexios and Kassandra. It’s more of a numeric way to represent how advance or simple any item is. The general rule is that the higher the numeric value the higher the DPS (damage per second) stat is. The Rarity has four levels which are common, rare, epic and legendary. The generalized view is that the rarer the item, the better it is. It also has an effect on the stats, engraving slots and the cost needed for an upgrade. The stat shows DPS (damage per second) for weapons. But it shows armor when it comes to the gear. Usually, the item’s stat depends on the level. 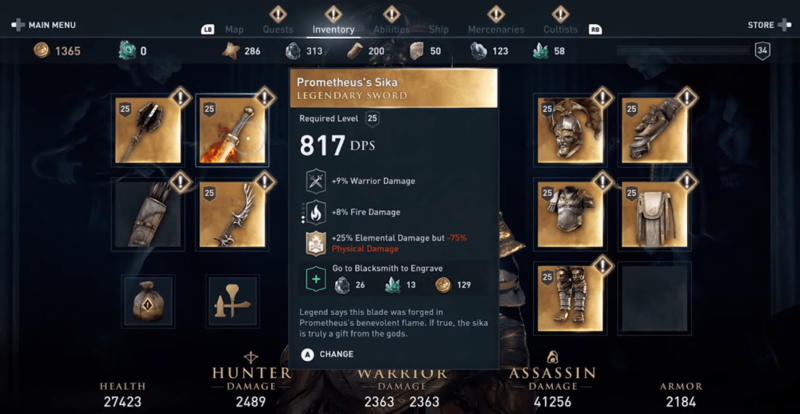 They show all the +6 Hunter Damage in Assassin’s Creed Odyssey and +3 Damage with Swords. These badges show under the gear’s main stat. The Engravings are in Assassin’s Creed Odyssey are influenced by three kinds of damages. These damages are a hunter or ranged (bow and arrow), warrior or in the open melee and assassin or sneaky. You cannot judge what best option for you is just by looking at the stats available on your screen. To make the perfect decision, first calculate the total damage, health and armor numbers. They are all given at the bottom of the inventory list. Then ponder over the strategy you will be using in the Assassin’s Creed Odyssey. Then plan your next moves keeping all those stats and given conditions in mind. That will help you in keeping a winning streak in the game. It will also aid you in choosing the right gear.